It&apos;s the modern centerpiece of the historic Akaretler Row Houses. A glittering tower amidst gilded domes and minarets. Dynamic finance and chic shopping here, old city and monuments there. It&apos;s always the best of both worlds at the W Istanbul. Check out our redesigned spaces. Bulk up or slim down in our updated FIT® gym. Recharge in the newly-unveiled spa. 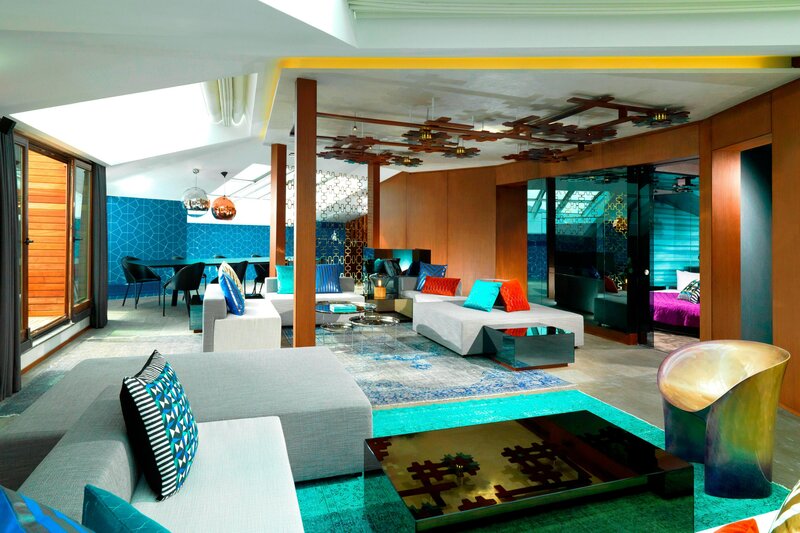 Then strut into the W Lounge, restyled with Ottoman Empire influences and custom modern touches. Mix and mingle with cocktails and DJ beats. Live like a king in the W rendition of opulent seraglios for modern explorers-rooms and suites with garden, terrace, or cabana adorned with Wi-Fi, flat screen TVs, the signature W bed and a whimsical harem of stylish luxuries. 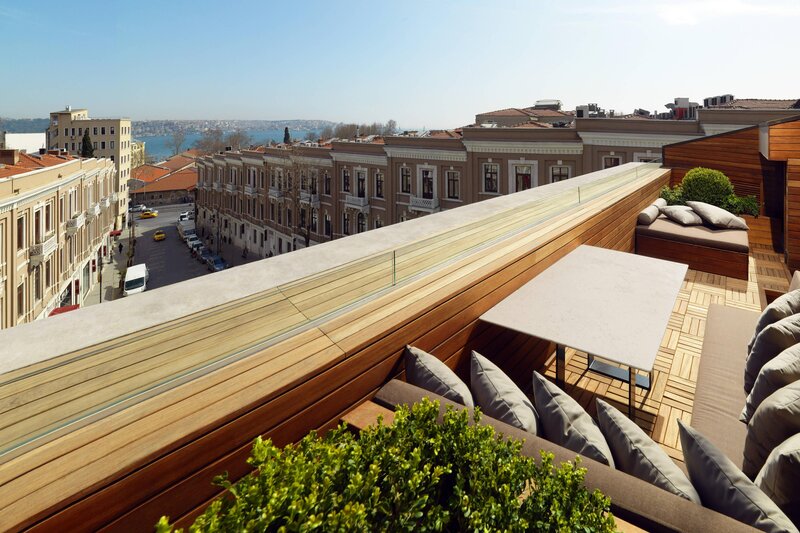 Imagine relaxing on your exclusive terrace as you take in the sunset over the Bosphorus or enjoying the capacious living room with the glittering city skyline as the backdrop. We did, and it&apos;s all here in the Extreme WOW Suite. Imagine arriving via private lift to your own floor. You&apos;re the host with the most with a sophisticated dining room and bar, serving fresh-mixed cocktail concoctions. 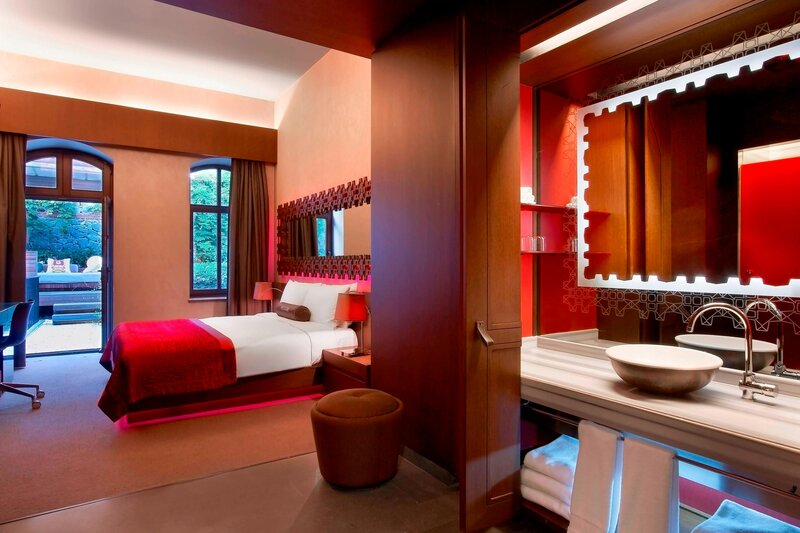 Recharge and sip bubbly in your bedroom surrounded by the Turkish hammam and steam bath. 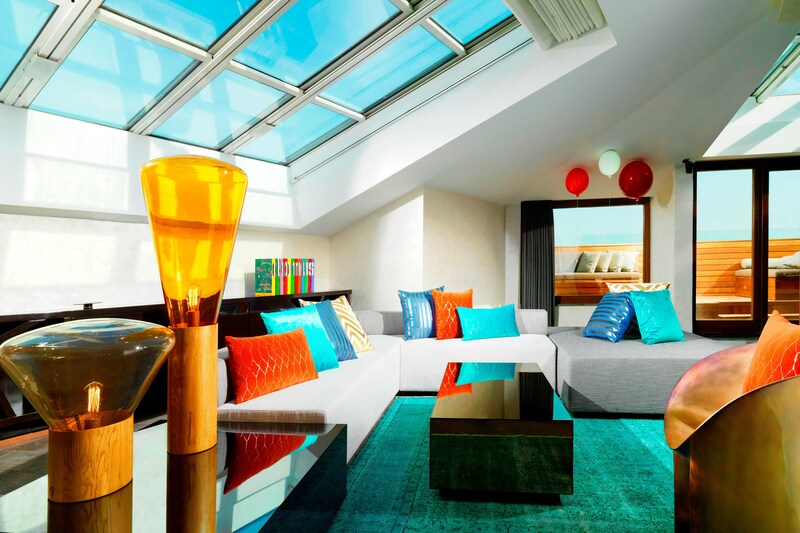 Spectacular skylights across the Extreme WOW Suite flood the suite with daylight and a view of the starry sky. Lounge in the living area carefully hand-picked details, such as the ultimate state-of-the-art entertainment center and a private terrace overlooking the entire Bosphorus. Make an entrance. Make it dramatic. Stride purposefully through a Leading Tunnel into a new environment. The action is always in the W Lounge, whether it’s a DJ spinning or a concept party. Grab yourself a coffee in work mode, or step in for afterhours cocktails, beats and bites. Relish the lounge conceptualized by the likes of Mahmut Anlar and Thierry Dreyfus in the image of a jewelry box. Sophistication meets relaxation, and a totally unique experience. The W Lounge décor is inspired by art and treasuries from the Golden Age of the Ottoman Empire, elegantly merged with ultra-modern hints and artifacts topped-off with custom furnishings and stylish interiors, serving as a stylish centerpiece. Enjoy a delectable snack or a hand-crafted W Signature Cocktail. Enjoy the finest rhythms with Istanbul’s most avant-garde DJs. Expect chill-out tracks by day, funky, electric and eclectic, mesmerizing music by night. Live the vibrancy within a truly chic ambience, as you casually sip on a W Signature Cocktail. Relax with body massage treatments as well as the Turkish baths in our B&G Wellness Spa. 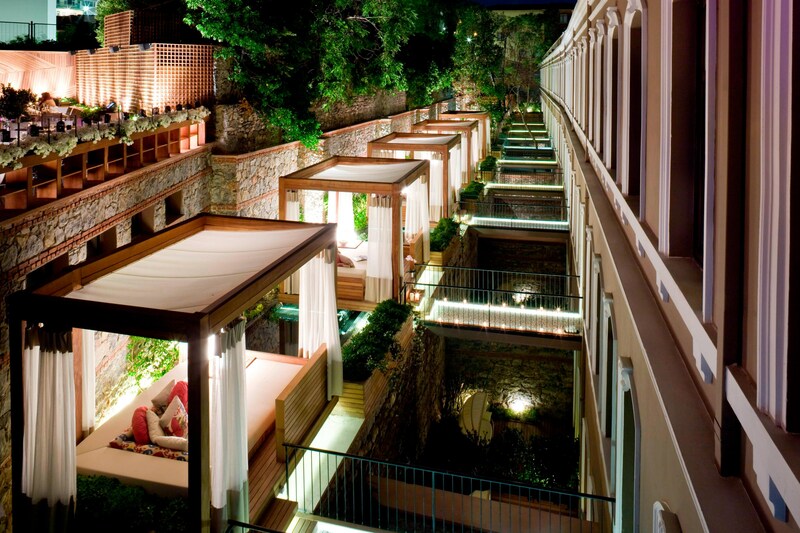 Try the B&G Signature Facial and the Traditional Turkish Hamam for the ultimate in pampering. 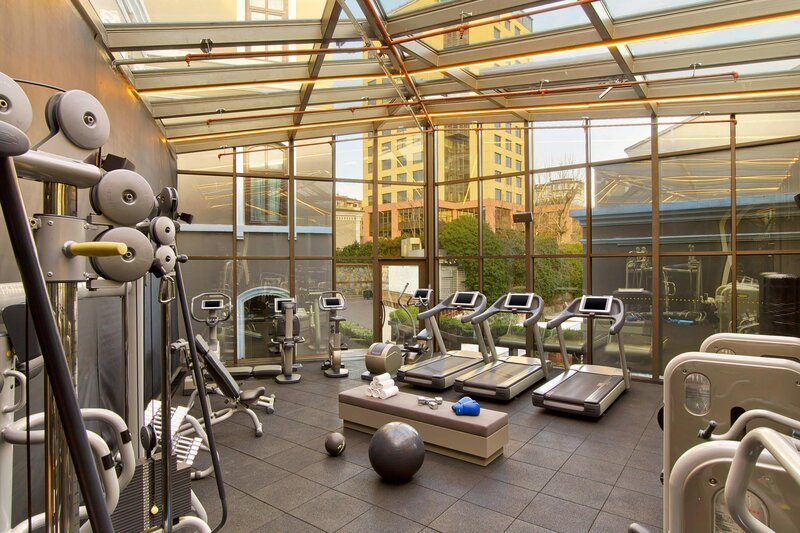 For an amazing workout, hit our Fit Gym with floor-to-ceiling windows overlooking the W Secret Garden. From your Marvelous room, follow the stone pathway from your patio door to your own private cabana and relax outdoors as you sip on something tasty. Who wouldn&apos;t want a soothing massage or dinner under the stars to feel simply marvelous? A stylish blend of modern and Turkish design runs harmoniously throughout the room, from decorative elements to the light settings.